In this short and powerful book, James gives us practical guidance on issues that also measure our true and living faith and our spiritual fruitfulness. He encourages us to "be doers of the word, and not hearers only," to "draw near to God," and "to be patient ... until the coming of the Lord" (James 1:22; 4:8; 5:7). James calls all believers-then and now-to live a life that demonstrates saving faith marked by godly behavior. 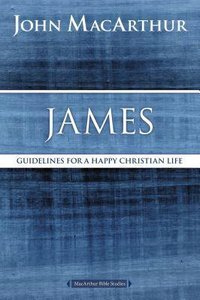 About "James: Guidelines For a Happy Christian Life (Macarthur Bible Study Series)"